Apply Vat Registration, Sale Tax, CST, TIN Registration — Value Added Tax (VAT) Registration is a tax registration required for businesses trading or manufacturing goods in India. VAT Registration replaced Sales Tax in India and is synonymous with CST Registration and TIN Registration. VAT is a multi-stage tax with the provision to allow ‘Input tax credit (ITC)’ on tax at an earlier stage, which can be appropriated against the VAT liability on subsequent sale. Therefore, VAT is ultimately borne by the consumer. CERTIFIED TRUE COPY OF THE RESOLUTION PASSED AT THE MEETING OF THE BOARD OF DIRECTORS OF ABC PRIVATE LIMITED HELD ON MONDAY, THE 15TH DAY OF JANUARY, 2016 AT 11:00 AM, AT THE REGISTERED OFFICE OF THE COMPANY AT 123,DELHI HELD ON. 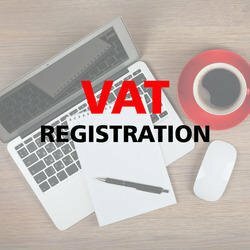 Whether or not you need VAT registration right now depends on the state in which your business is operating. In most states, registration is not required at all until your turnover crosses a certain threshold. This is usually Rs. 5 lakh in annual revenues. It also matters what it is you’re selling, as some items may be exempt. Salt, for example, is exempt from VAT. I am an online seller. Do I need VAT Registration? If you are planning to sell via any of the large online marketplaces, such as Amazon, Flipkart or Snapdeal, you will need a VAT Registration no matter what your turnover is. A TIN or Taxpayer Identification Number is mandatory before you get on their platform. How long will it take for approval? This depends on two things: your promptness with the documents required and the work load of the government. Do ensure that you have all the documents in order or it will end up being delayed or need a reapplication. Once the documents are submitted, it depends on how soon the inspector visits your premises (yes, you must have a commercial space to be eligible for VAT). If you live in a metropolitan city, the visit is likely to be sooner than if you live in a Tier I or II city. How do I pay the government the tax I collect and file returns? VAT is collected at every stage of production, so some of the amount you collect from your customers will be retained by you, while the remainder will be paid to government via designated banks on a monthly basis. Returns must also be filed. The date and frequency differs with every state. What is the VAT Composition Scheme? Businesses with a turnover of between Rs. 10 lakh and Rs. 50 lakh can simplify VAT compliance by applying for the VAT Composition Scheme. By joining this scheme, they will pay a lower rate of tax, that is fixed, and file only quarterly, or, for some businesses, annual returns. Can payment be made and returns filed online? Yes, all Indian states have websites (although some don’t work very well) that allow payment of the VAT collected and return filing.